The forum to discuss your RollerCoaster Tycoon, Planet Coaster and No Limits creations! 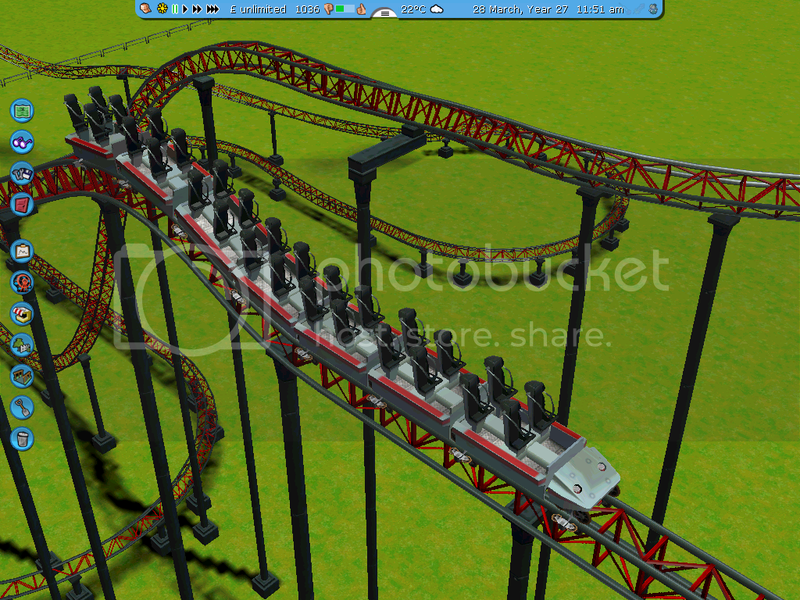 Here is my B&M Floorless coaster, loosely based on "The Way Of The Warrior". As I loosely based it on "The Way Of The Warrior" I thought it would be an idea to call it "The Last Stand" another key challenge from the Raven TV Show. The Last Stand is much better than The Way Of The Warrior, as it feels allot less repetitive. My newest coaster is a Vekoma Tilt Coaster, called Dragon's Fury, it is also the first rollercoaster that I have made over water. That's a very nice rollercoaster, this may just be me being picky, but I just think the Tilt section had more emphases on it. And also didn't maybe have as many inversions, but other than that it is a nice coaster, and I like the whole coaster completely over water idea too. Another update, here is Zodiac my first ever RCT3 Woodie Coaster. Nice coasters there, Simba. The tilt coaster is way too short though. 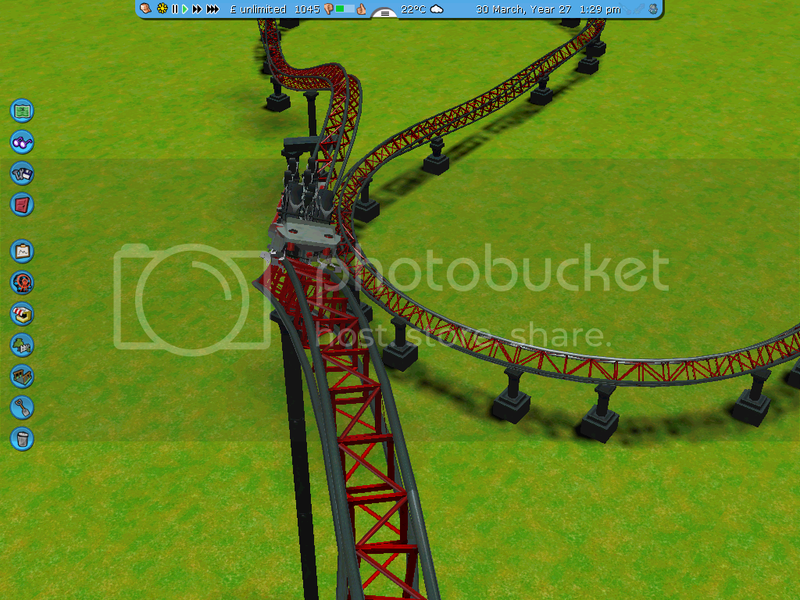 Here is a new RCT3 Coaster, It's is an Intamin accelerator coaster, called Firestorm, the coaster now has an orange train, but I named it after I did the POV and took the screenshots. Revised ending to Firestorm now featuring a breakrun. Thanks for the feedback Thekingin64, I am in the process of revising the post serpent roll and airtime hill layout. The revised ending to the Firestorm is really good Simba, nice to see your first coaster with a gentle breakrun. Zodiac is also a very good woodie too, and all your other coasters have been good. I am looking forward to your next one.